Monaco is a bit of a one off when it comes to our racing calendar. For a start, it’s the only race of the year where we start track action on a Thursday. It’s also the only street circuit on the Formula Renault 3.5 calendar, although the GP2 drivers also get to enjoy the thrills of Singapore. So how do you manage to pack a Formula 1 Grand Prix and support series such as GP2, Formula Renault 3.5 and Porsche Supercup into a country of just 0.78 sq miles. Here’s our perspective…. It’s not one of the most complicated journeys for our truckies, but the principals remain the same; arrive at a specific time to be parked up by the championship organisers. 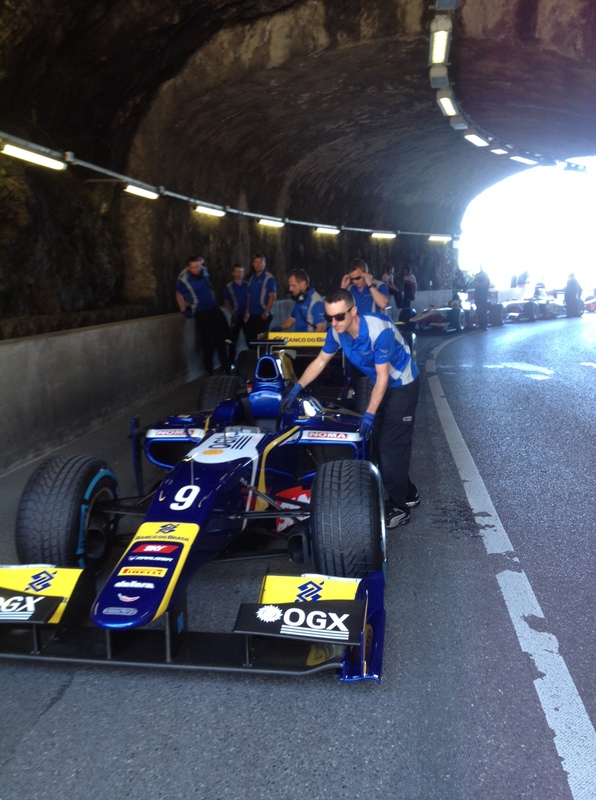 In Monaco this is particularly important, with the GP2 teams carefully aligned in a multi-storey car park, and the FR3.5 team in the narrow car park of the Monaco Tennis Club. 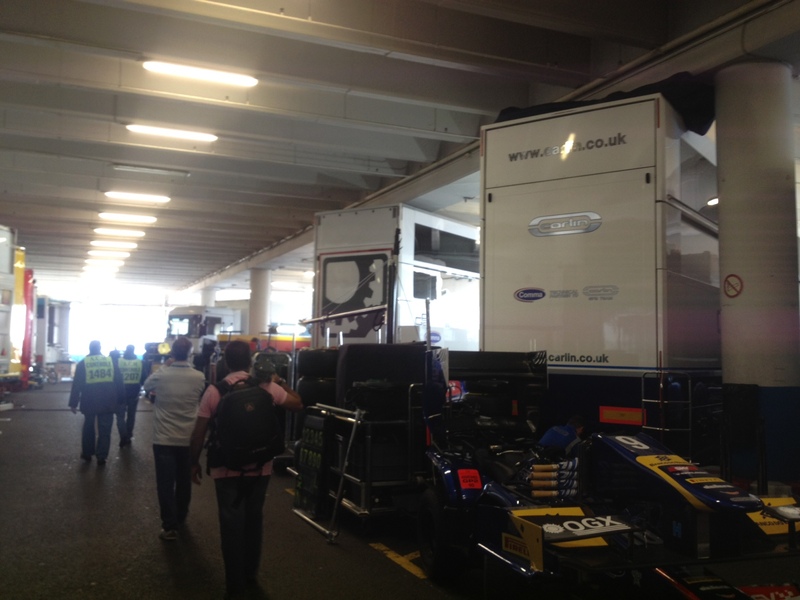 Up in the GP2 paddock meanwhile, which is located on the other side of Monaco, the team will be getting on with their work in the multi-storey car park fondly nicknamed as ‘Alcatraz’. As one of the teams with a ‘pump up’ two storey trailer, we’re located on the taller first floor which means a rather scary journey for the longest pit trolley in the world down a rather steep ramp. We’ve put the rather unfortunate and now infamous pit trolley crash of a couple of years ago to the back of our minds. (Think tyres, GP2 front wings and various truckies lying in a tangled mess). 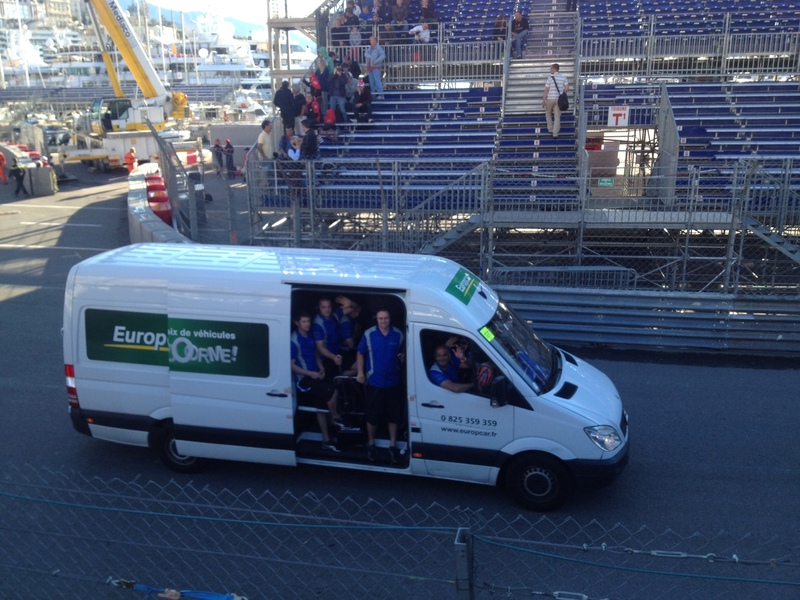 We’re one of only a few teams with cars in more than one championship in Monaco, so logistics can be particularly troublesome. Getting from the GP2 paddock to the FR3.5 paddock can be a challenge worthy of the greatest explorer when the roads are closed in the perimeter around the circuit. 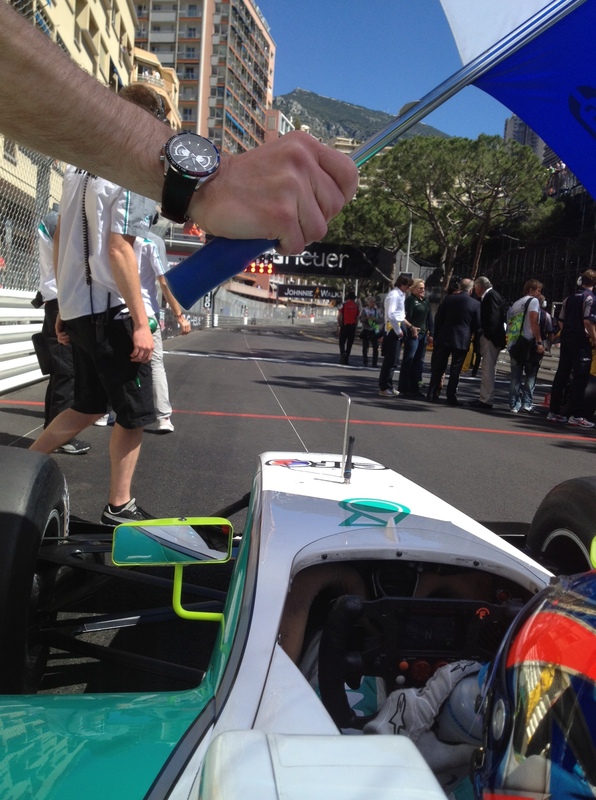 Making your way through Monaco is so difficult that the FR3.5 team stay in Menton on the eastern side of Monaco, while the GP2 squad are based in Nice in the west; making it easier to get to their respective paddocks.